We at Barney Brothers believe in the products we recommend and sell. Here are some of the products we carry. Remember this is only a small example. If you don’t see what you are looking for give us a call. We can probably get it for you! For more than 15 years, American Expedition. Vehicles has been on the cutting edge of the 4WD industry, constantly pushing the boundaries of design and innovation. Our goal is simple: to provide the highest quality Jeep Wrangler accessories available anywhere in the world, period. We’re not a wheel company making hundreds of different designs or a suspension company making products for twenty different vehicles. 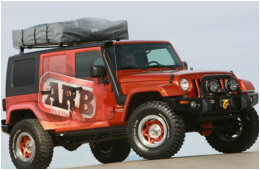 Quite simply, AEV is a Jeep Wrangler company. 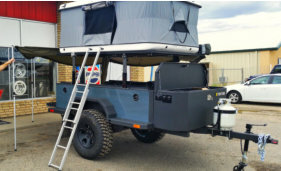 The XVENTURE Off-Road Trailer from Schutt. Industries is a revolutionary new vehicle engineered for the extreme off-road overlanding community. As the worlds leading American manufacturer of military trailer products, Schutt Industry sets the bar by which all others are judged with the new XVENTURE severe-duty trailer. XVENTURE is simply the finest product of its type ever to hit the consumer market. 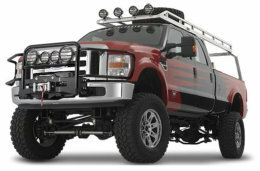 This is a no compromise must-have piece of equipment for the overland off-road professional and enthusiast like. Compare XVENTURE to anything else out there and we are certain you will agree, you just have to get one of these! 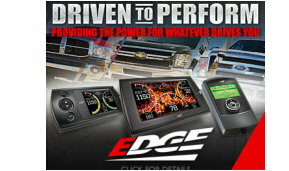 EDGE manufactures performance modules and programmers for all major vehicle manufacturers. What sets the company apart from its competitors is its monitoring capabilities. Coupled with the additional gains in horsepower, Edge's ability to display multiple engine parameters, and to provide associated safety features for those parameters on its stylish in-cab monitors, has revolutionized the industry. Edge endeavors to produce the highest quality products on the market and to deliver them with better customer and technical support than their competitors. 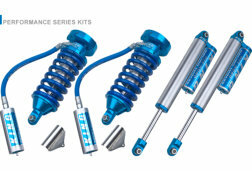 King Shocks is a manufacturer of custom made adjustable and rebuildable automotive shock absorbers and performance racing products for utility vehicles, OEM replacement and professional racing use. 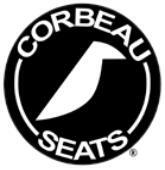 Our company prides itself on putting quality, performance and customer service above all else. Every product we sell is the result of constant testing and development done with top racers in competition worldwide. This real world testing exposes our designs to a level of abuse and destructive forces that cannot be duplicated in a laboratory. 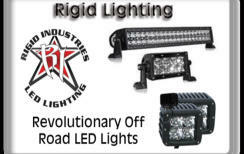 Warn designs, manufactures some of the best products in the world. Warn’s makes a line of off-road equipment and accessories that enhance the performance of four-wheel- drive vehicles, ATV's and utility vehicles. The company's Industrial Division markets electric and hydraulic winches and hoists to commercial, industrial and severe duty customers. Warn also has a line of utility winches and hoists that are designed for professional trade workers and do-it-yourself consumers who need powerful tools to assist them in pulling, hauling, dragging or lifting. With customers in over 65 countries, WARN is one of the world's most recognized brands in vehicle performance enhancing equipment. Rancho- a popular brand of suspension, shocks and more worldwide – was born in the 1950s in Long Beach, Calif., as Rancho Jeep Supply, and quickly grew into a thriving off-road and performance suspension components manufacturer. Rancho continued to grow and add fully engineered, industry-leading shock absorbers – like RS9000™XL, Loaded quickLIFT™, Pro Series and more – plus suspension systems to one of the world's most recognizable and technologically leading brands. Rancho suspension systems, shock absorbers, accessories and other related products deliver rugged performance for work and play in any on - or off-road environment.